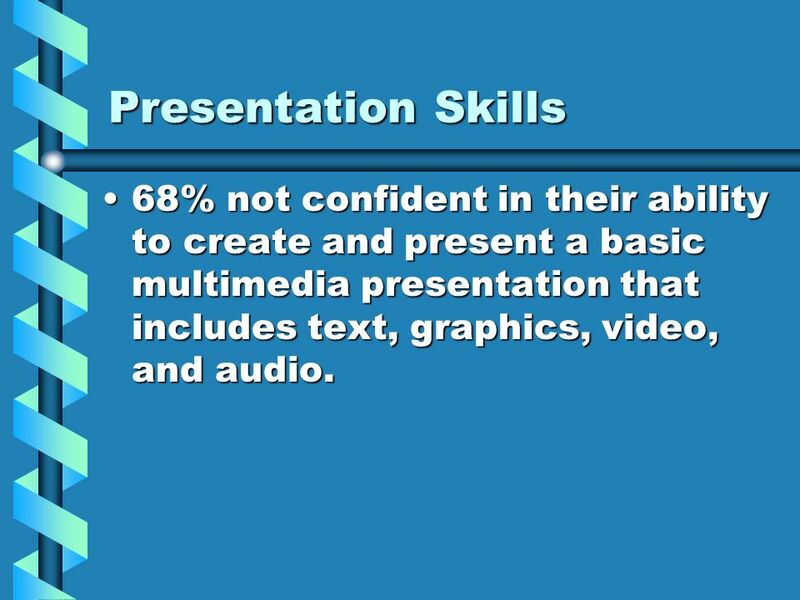 5 Presentation Skills 68% not confident in their ability to create and present a basic multimedia presentation that includes text, graphics, video, and audio.68% not confident in their ability to create and present a basic multimedia presentation that includes text, graphics, video, and audio. 6 Internet 97% are not confident that they could create and publish a web page.97% are not confident that they could create and publish a web page. 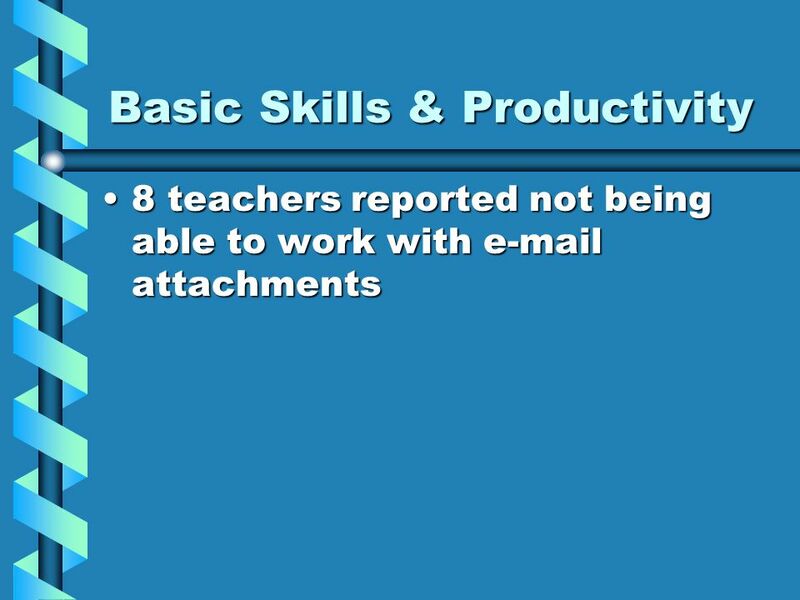 81% arent sure they can teach students how to assess the validity and reliability of information gathered via the Internet.81% arent sure they can teach students how to assess the validity and reliability of information gathered via the Internet. 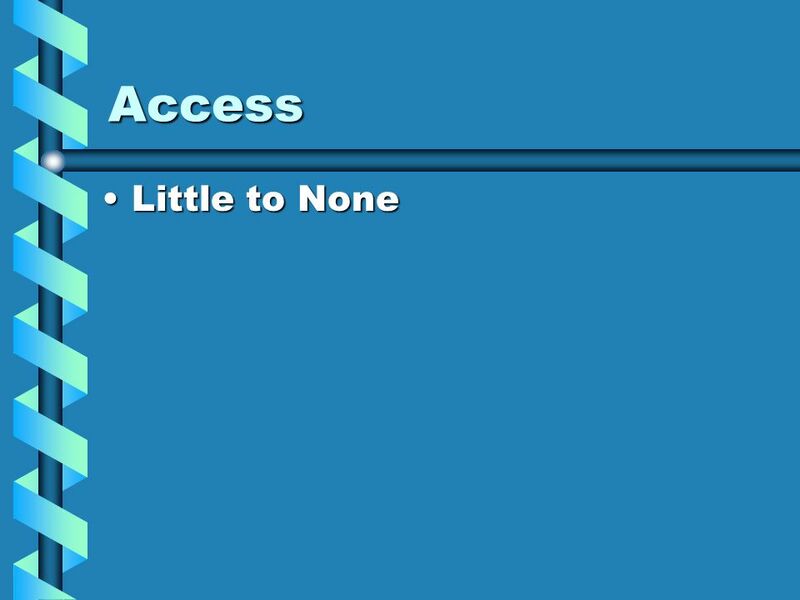 Download ppt "Where Are We? Reflections on the PES Technology Survey (Spring 2008)"
Expectations for Collaboration, Collections, and Connections to Enhance Learning: A Program Evaluation Rubric. Component #1 – Artifact 1Component #5 – Artifact 1 Component #1 – Artifact 2Component #5 – Artifact 2 Component #2 – Artifact 1Component #6 – Artifact. 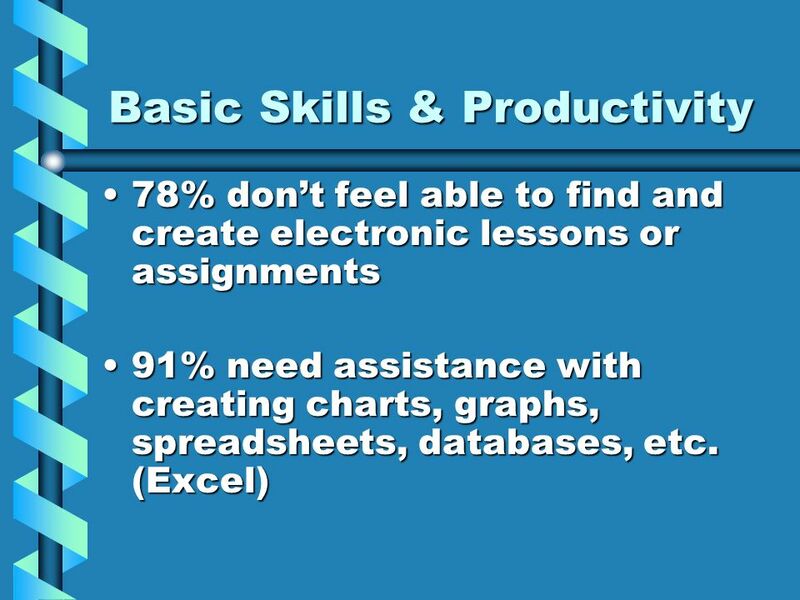 USD – Computer for the Educator, Level II Ernie Lewis. MathAmigo  Your Helping Hand. What if You only had three students in your class How would you organize your teaching? Lesson Plans Each class in grades 3-8 will be here a total of three weeks. Grades one and two are only here for one week at a time. The lesson plans for. CURR 285-? ?, FirstName LastName, Spring 2005 [My_Own_Portfolio_Title_Here] Portfolio Template Directions Feel free to use and modify this Powerpoint template. 1 Are You a Computer Literate High School Student? Issues and Prospects in ICT in Education in Continuing Teacher Professional Education Yvonne Garcia Flores Intel Technology Philippines. America’s Involvement in WW I Created by Susan Stenzel Los Angeles Unified School District Gardena High School. Copyright © Allyn & Bacon 2008 POWER PRACTICE Chapter 5 Administrative Software START This multimedia product and its contents are protected under copyright. Using ICT to Support Students who are Deaf. 2 Professional Development and Support: Why? Isolation Unique and common problems Affirmation Pace of change.